Citywide, the 2008 median price for Seattle condos depreciated by just 0.9%, from $315,000 to $312,000. 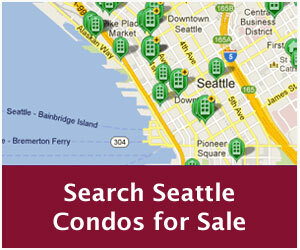 This is the aggregate of all condos sold within Seattle (MLS Areas 140, 380, 385, 390, 700, 701, 705, 710). Condo values for most neighborhoods declined in 2008 from the prior year, though several desirable areas realized healthy gains. Alki, Admiral, Junction, Downtown, Fauntleroy and Leschi all posted increases in value, while Lake City and Madison Park remained unchanged. In previous years, I posted the annual appreciation rates by MLS areas. This year, I broke the results out into neighborhoods that have higher concentrations of condo properties, thus not all neighborhoods are presented as there were too few sales to be statistically relevant. Update: A caveat regarding the stats. 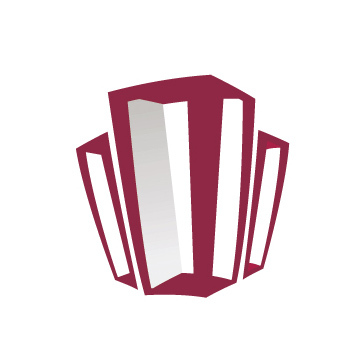 The information is based solely on sales recorded in the Northwest Multiple Listing Service. As such, it does not include all sales transacted last year. For instance, an overwhelming number of new construction sales are never recorded in the NWMLS, therefore, actual sales volume and prices are higher than published. Likewise, inventory numbers are skewed. Additionally, auction (Seventeen07 and Press condos) and private sales are not included, though, they represent a minute fraction of total sales so they’re unlikely to have much of an affect. The results were compiled independently utilizing the NWMLS database. Kind of interesting that the north west of the country is not sliding as much as the rest of the country. It’s the complete opposite in Canada, the southwest of the country is getting hammered up here with price drops whereas the rest of the country isn’t, yet. Great information and stats Ben. That is really good news concerning the minimal depreciation rate among condos in Seattle. There were some crazy swings in appreciation in Alki, Leschi, Downtown, and Fauntleroy. I think it really shows the desirability of those areas and Seattle in general. Being located in Bellingham, we haven’t been hit near as hard as the rest of the Nation as well. I believe that it is mostly association with the lack of inventory. Currently, there are only 430 homes on the entire market in Bellingham. That is one of the lowest levels of inventory over the last five years. 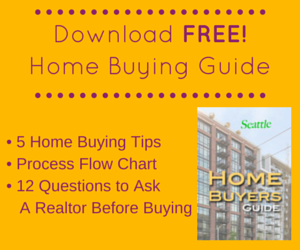 How has the condo inventory fared in Seattle? Ryan – great to hear Bellingham is fairly better than most areas. As far as inventory levels, it’s ultimately on how people perceive the numbers. Seattle’s condo inventory has been declining since May 2008 and is at its lowest level since April 2007. Plus, many new projects that were scheduled to be delivered were never built, though we do have a number of new developments completing this year. On the other hand, the condo absorption rate remains high (for Seattle)…9.3 months of supply in December. So, a case can be made that we have an abundance of supply, though the actual number of units available has been trending downward. Ben ~ I see. It is pretty clear that construction has nearly come to a complete halt in most areas. In Bellingham, we had two major condo projects that were unable to break ground due to their financial investors backing out. It is virtually impossible to purchase a new condominium in Bellingham right now. Thanks for sharing your insight. You run one of the better real estate blogs in the country. I intend to check in frequently. Careful with these numbers. I don’t think they reflect appreciation in condo values. Especially the downtown increases. They reflect an increase in the mix and number of high end units, but don’t reflect increasing prices for those units. Prices are definitely dropping downtown too. Gene – correct, downtown’s figure is heavily influenced by sales in new higher-end developments last year. The figures compare annualized median prices of condo sales for given locations, not same unit resale appreciation/depreciation. Looks like alot of positive news in those numbers, although I would definately think Seattle should be amongst the best of all cities in being able to hold values in the time of the current housing crisis. Also some really good news how some areas are even appreciating during the current times. That is amazing that Seattle has bucked the trend. The other day I seen a news segment about Seattle haveing a wave of job looses, the MAyor said about 50,000 jobs have recently been lost. Is that not taking and affect on your market? Richard / Derek, thanks for the comments. Seattle probably fared better than other parts of the country last year, though 2009 could be a very long and down year for the condo market (sellers). Buyers, on the other hand, could be well poised to take advantage of the depressed market. Hey Ben, Sounds like Seattle is where Denver was 4 years ago. Unfortunately Denver was hit with this foreclosure mess in 2003, up until last year Colorado was the highest foreclsore rate in the country. So right now must of the agents here in Denver are used to this market. We have a similar Condo market in our Downtown area that went through the exact same transition the Seattle condo market is heading to. Definately a time to buy if anyone is in the market for a discounted Seattle Condo. Ben, I don’t do much with condos in Austin, TX, but the numbers you have posted pretty well reflect the single family home stats in the areas in Austin with which I am most familiar. Average sales prices in 2008 were pretty stable, in most cases very close to what they were in 2007. We have fared pretty well so far in comparison to other areas of the country.